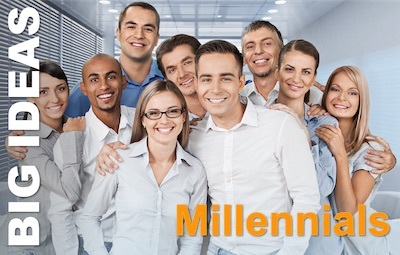 First, the millennials entered the workplace and now they are taking leadership roles. 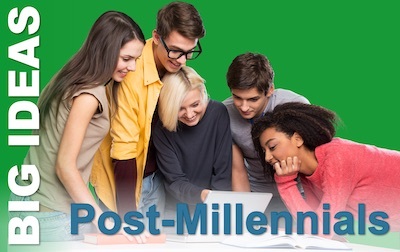 And now their successors are coming too: the Post-millennials. But who are the millennials and post-millennials. And what do they want? 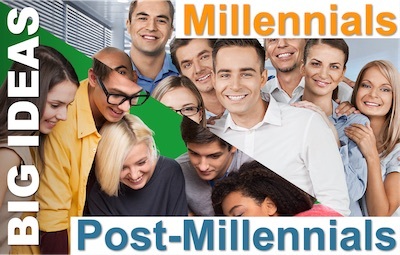 The generational certainties that organisations have understood so well are becoming more complex as the early millennials are starting to make decisions, and the first post-millennials are entering into the workplace. But if you want to look to sociologists for answers, you’ll find they are most clear. This has been a great year for the Pocketblog, seeing reading figures rise substantially and reaching the milestone of our 100th blog posting. So, with Christmas coming at the end of the week, let’s do a round-up of some personal favourites from among this year’s Pocketblogs. Here is something for each of the twelve days. Enjoy! After some New Year’s Resolutions to start the year off, we dived into the subject of Happiness, with ‘Happiness – as simple as ABC?’ about Albert Ellis’s Rational Emotive Behavior Therapy – the fore-runner of CBT. We then moved into a subject that was much in the news in February; and still is. With ‘Bankers’ Bonuses and Brain Biology’, we looked at recent neuroscience and how that relates to Adams’ Equity Theory. In February too, I wrote two blogs about sociological ‘Generations X, Y & Z’ and ‘Generation Y at work’. I followed this up by another about what comes ‘After Generation Y?’. In May, inspiration waned for a week, so where did I go to find it? ‘The Gemba’. I got it back, and later that month, got idealistic in ‘Reciprocity and Expectation’ looking at the Pay it Forward ideal and the realities of Game Theory. 5. Why do we do what we do? In the first of two blogs on how to predict human behaviour, I looked at ‘How to Understand your Toddler’ (mine actually) and Icek Ajzen’s Theory of Planned Behaviour. Later in the year, in ‘Predicting Behaviour’, I looked at whether a simple equation (hypothesised by Kurt Lewin) could predict all behaviour. … according to the Journal Strategy & Business is Richard Rumelt’s Good Strategy/Bad Strategy: The difference and why it matters. In ‘What Makes a Good Business Strategy’ we looked at some of his ideas. This year, I have been a big fan of both series and have written my own episode by episode analysis of both The Apprentice and Young Apprentice. 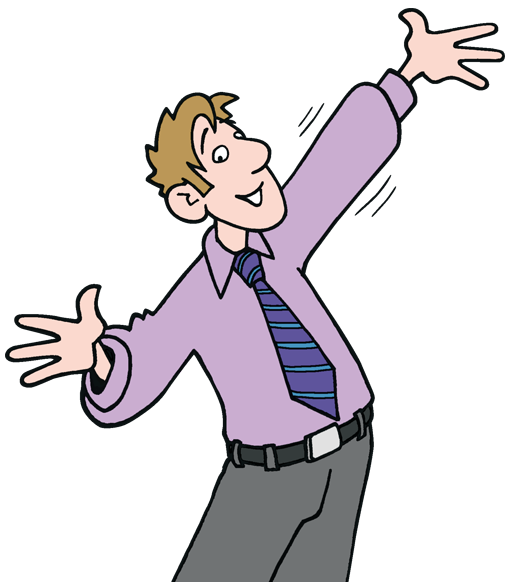 I also did one blog on each for Pocketblog: ‘The Apprentice and Five Levels of Leadership’ and, for Young Apprentice, ‘Decision Failure’. And one of Drucker’s direct contemporaries was W Edwards Deming, so I also took a look at ‘Demings’ System of Profound Knowledge’. Will history look on Tom Peters with the respect that it holds for Drucker and Deming? Who knows? But without a doubt, Peters has been influential, insightful and provocative for thirty years or more, and I am sure many of his ideas will survive. In ‘Crazy Times Again’, I drew a line from FW Taylor (father of ‘Scientific Management’) to Peters. In ‘Going Round in Circles’ I returned to management models and one of my all time favourites: Fisher and Ury’s Circle Chart. I applied it to problem solving rather than, as they did, to negotiation. Fisher and Ury are experts on conflict resolution, as is Morton Deutsch. In ‘Conflict: As simple as AEIOU’, I looked at a fabulously simple conflict resolution model that originated in Deutsch’s International Centre for Cooperation and Conflict Resolution. Two notable events made the autumn memorable for Pocketblog: one sad and one happy. Have a very merry and peaceful Christmas. Have a very happy and healthy New Year. Be good, have fun, stay safe, and prosper. Have you ever noticed that things seem to cluster in your life? There seems to be a ‘time’ for certain things: one minute they are in the deep background, and the next, they emerge and keep assailing your senses. So it has been these last few weeks for me. Nearly a month ago, I attended an interesting talk and wrote a blog about Generation X and Generation Y, and then found out about a unified theory of all of history, based on generations. I returned to that theme a week later, to speculate how Generation Y (born between 1980 and 2000) would behave as managers in the workplace. But the theme could not leave me alone. Continue reading After Generation Y?